If you only visit one cemetery this year make it the Old Burying Ground. This place has a blockage runner, a girl buried in a rum barrel, a British officer buried standing up, and a variety of other characters. 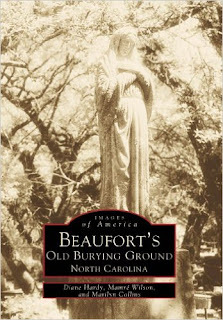 This book illustrates some of the headstones and signs found in the burying ground as well as pictures of some of the departed and local homes and businesses associated with the residents. An interesting look at the history of this corner of America.